It’s strange, it’s bizarre, and it’s impractical. We love it. 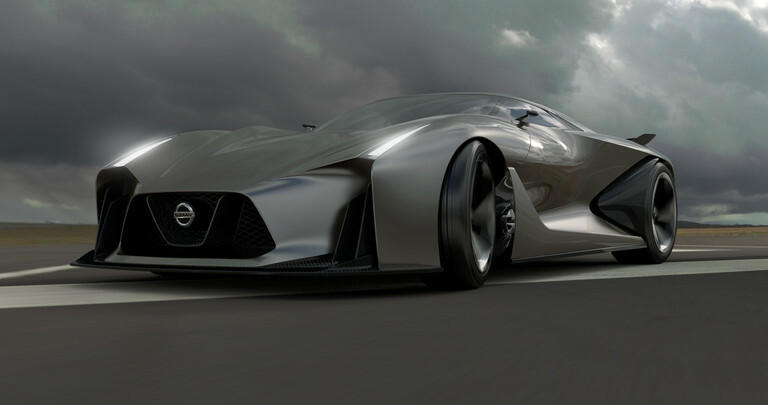 Nissan’s latest concept, the “NISSAN CONCEPT 2020 Vision Gran Turismo”, shows us one potential direction of Nissan styling studios for a future GT-R. This is Nissan’s answer to the Toyota FT-1 Concept, a slightly more practical concept that also would need major revisions before it could be built. But both concepts point to certain styling features which would survive into production. 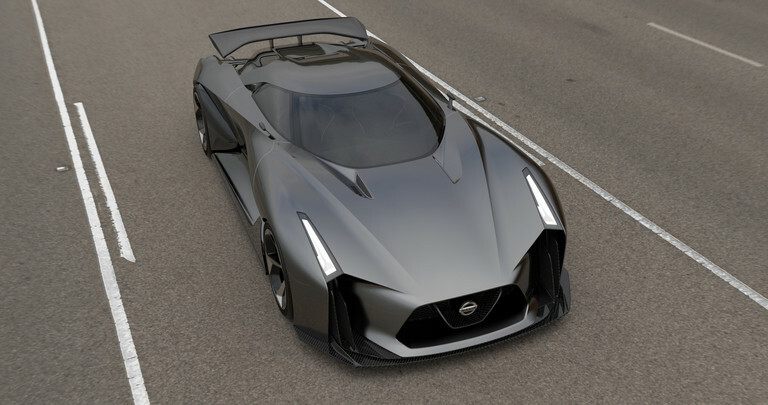 In the case of the Nissan, it’s the narrow headlamps, the shape of the greenhouse (same as the current GT-R, and the slap-sided front and rear fenders (again, similar to the current GT-R). And this isn’t a rolling concept, much less a prototype – it was designed in virtual space as a game piece for the PlayStation. NASHVILLE. 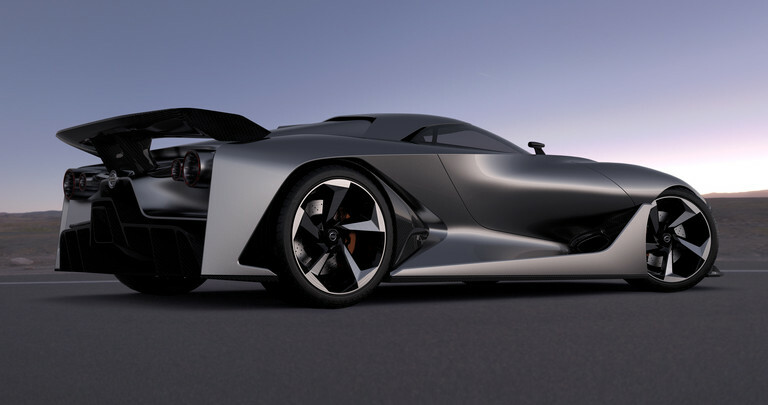 Tenn. – Nissan today lifts the virtual covers off the NISSAN CONCEPT 2020 Vision Gran Turismo, a vision of what a high performance Nissan could look like in the future. It was created through close collaboration with the creators of Gran Turismo®, Polyphony Digital Inc., the legendary PlayStation® driving franchise. In July, automotive enthusiasts will be able to discover that performance first-hand when it becomes available to download in Gran Turismo®6, just as they did with the NISSAN GT-R and Skylines from earlier episodes of the historic franchise. That performance heritage and commitment to delivering excitement for enthusiasts is why there are Nissan vehicles in the franchise. “PlayStation” and “Gran Turismo” are registered trademarks of Sony Computer Entertainment Inc.